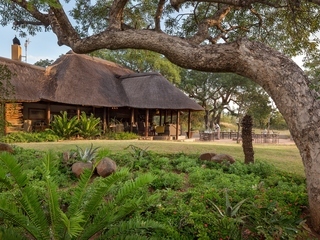 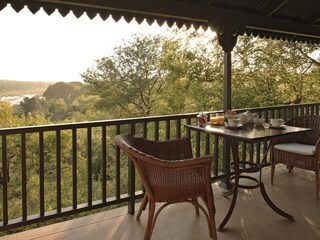 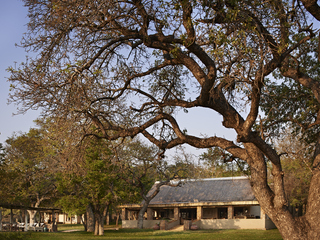 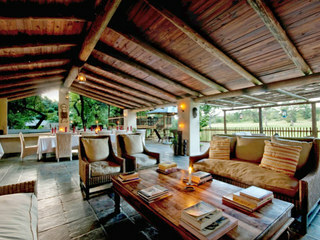 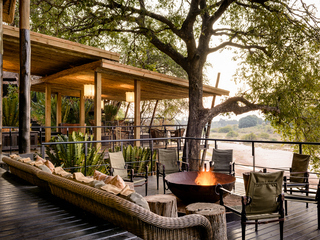 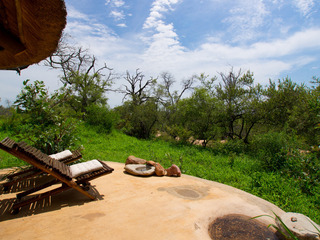 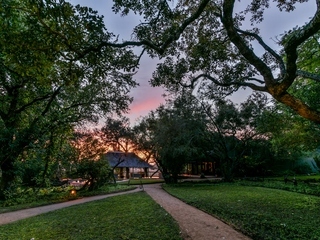 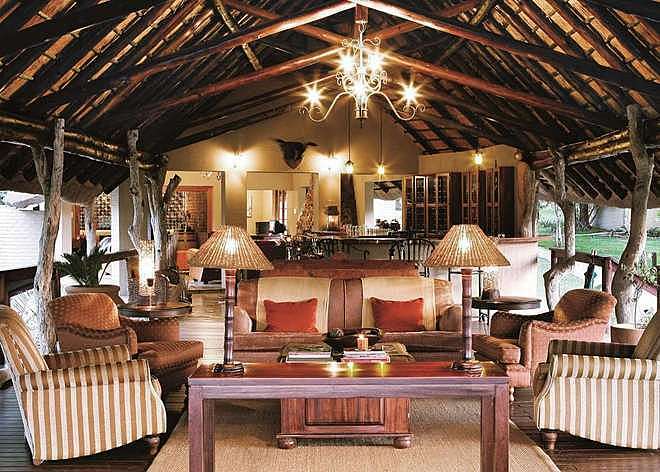 Kirkmans Camp is a stunning historic 1920s homestead set amidst the wild bush of Sabi Sands Reserve. 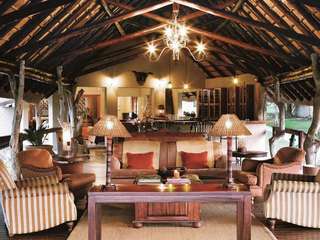 Kirkmans is a good choice those looking for excellent wildlife and a first class lodge that scores high on old world colonial atmosphere. 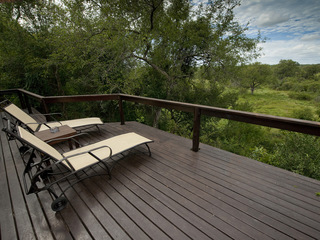 Build in the 1920s Kirkmans is situated high on a ridge with fantastic views overlooking the Sand River. 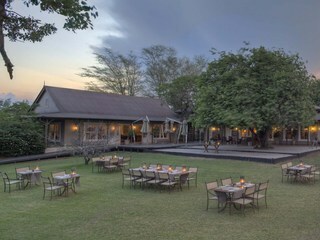 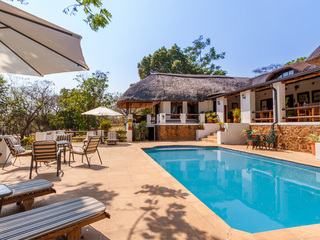 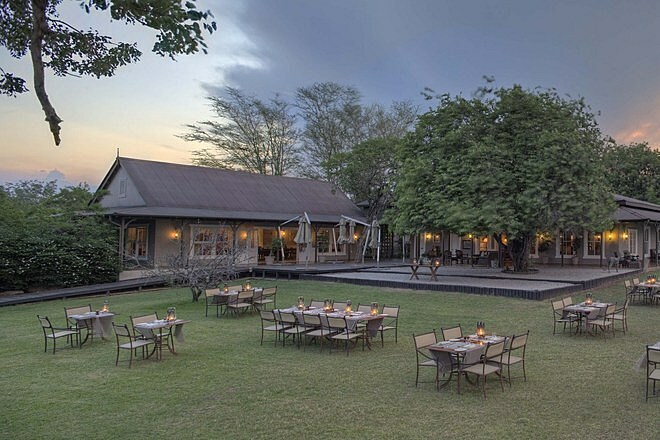 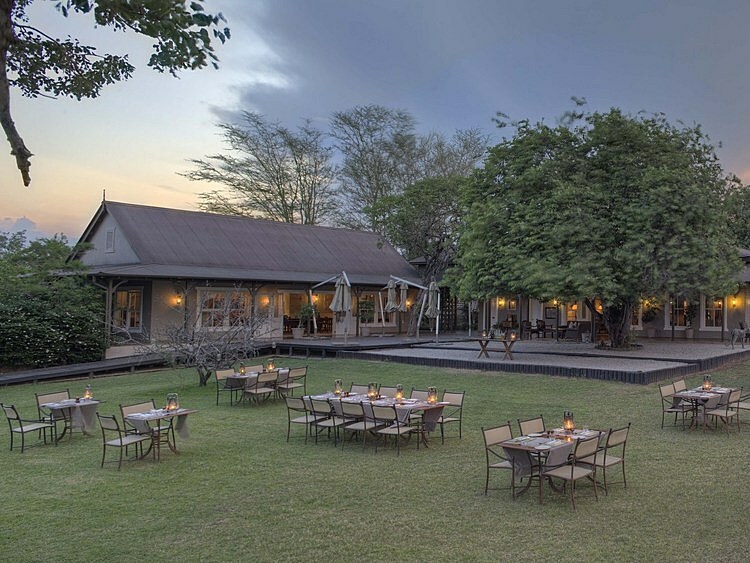 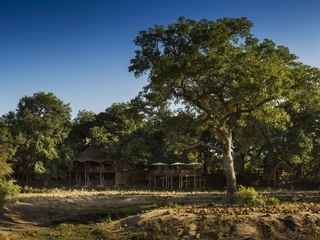 The green tin roof and manicured grounds of the original homestead form the public areas of camp, with elegant lounge, open air boma and swimming pool. 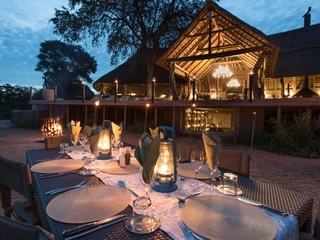 Breakfast and lunch are served on shady verandas, and dinners are shared in the dramatic boma or in romantic lantern lit bush settings. 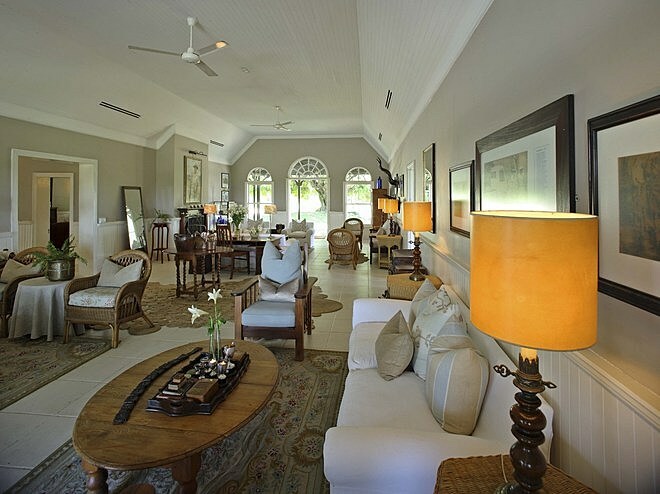 Kirkmans also has a tennis court and croquet available. 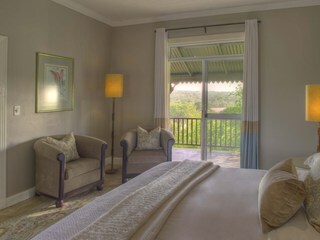 Guest accommodation is in eighteen rooms, in nine colonial style outbuildings. 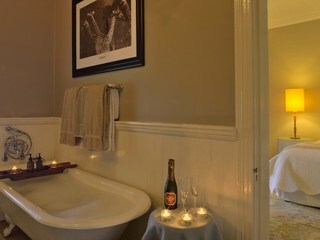 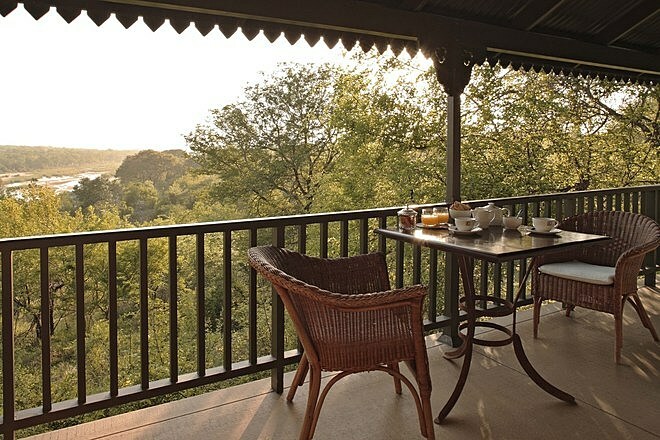 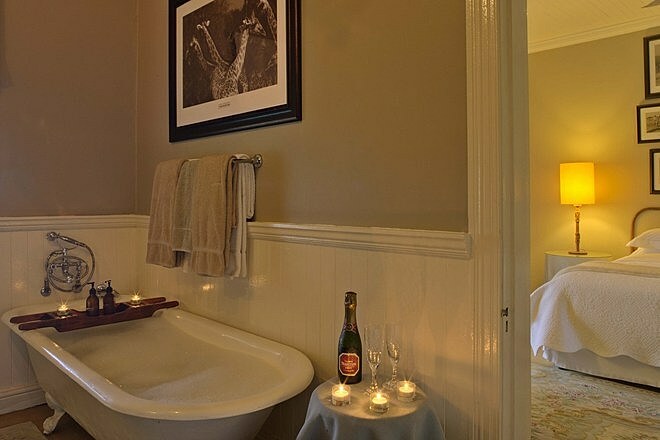 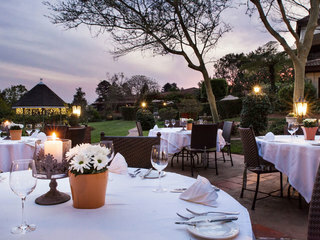 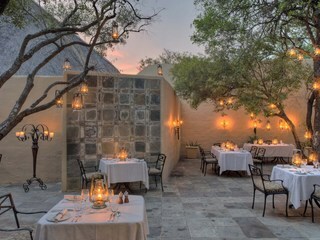 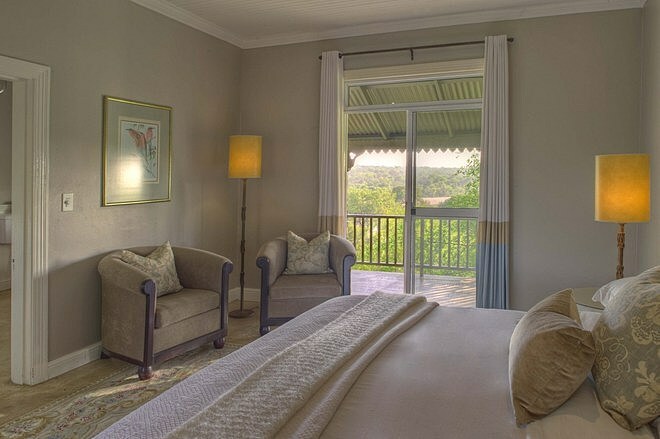 Each room has a private veranda overlooking the gardens or bushveld, ensuite bathroom with romantic bath and separate shower. Some rooms can be adapted for triples for families. 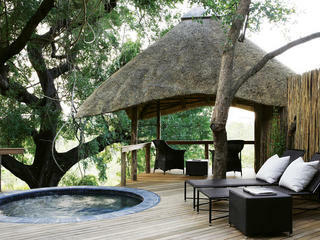 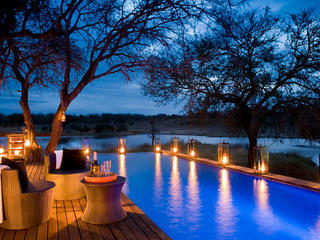 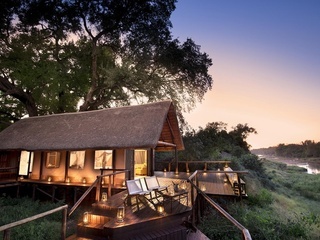 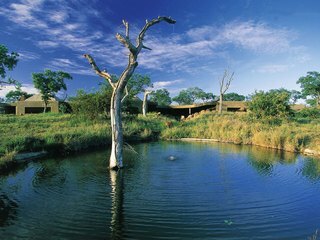 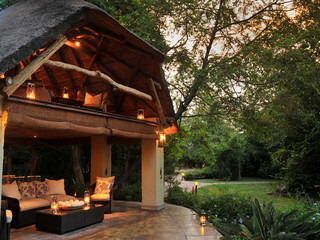 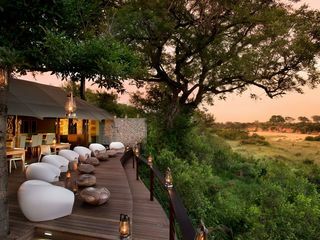 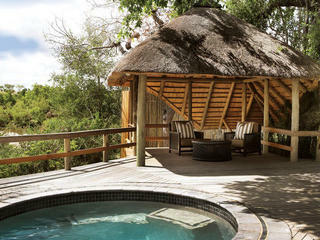 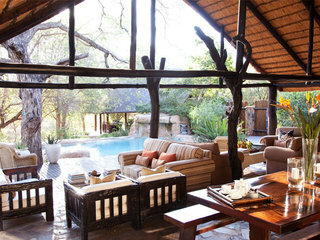 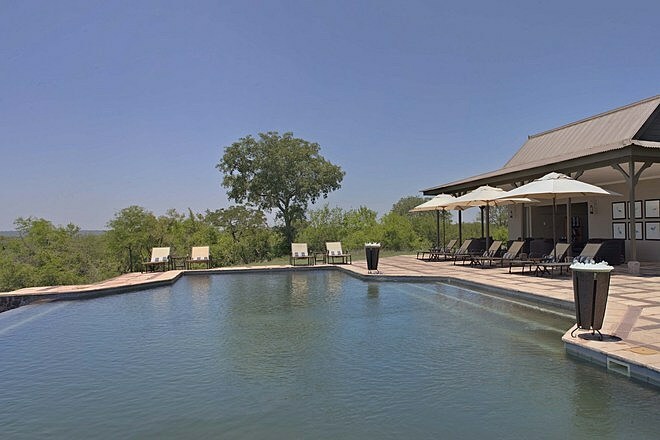 Sabi Sands is renowned for its wildlife viewing with a significant big five presence. 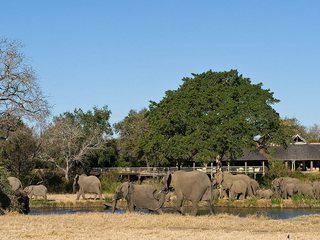 Sabi Sands shares a 50km border unfenced border with Kruger National Park, with wildlife moving freely between the reserves. 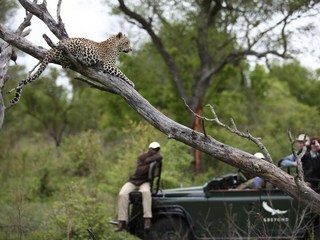 Sabi is renowned for leopard and an abundance of Leopard, Lion, Rhino, Elephant, Buffalo, Cheetah, Zebra, Giraffe, Hyena and a wide variety of antelope and other species. 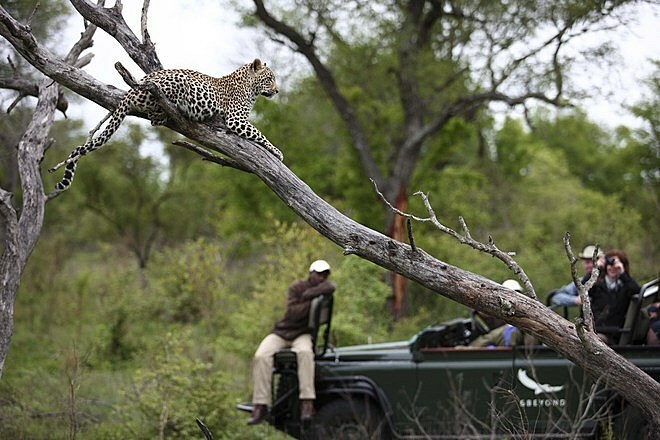 Being a private reserve, you have the advantage of the comparatively low density of game viewing vehicles. 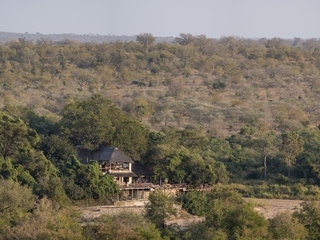 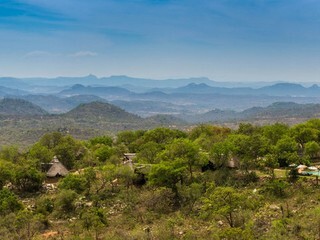 Even in this game rich reserve, Kirkmans has the pick of the location close to the (unfenced) border with Kruger. 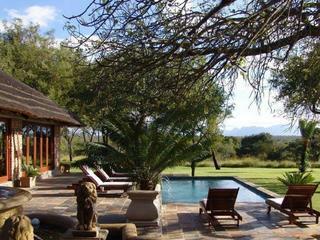 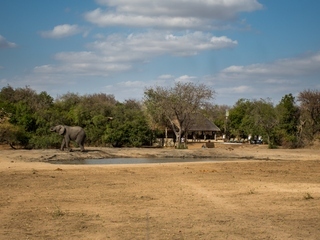 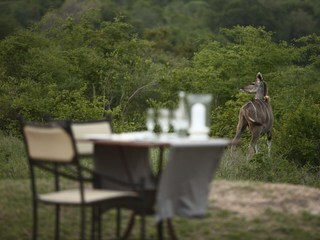 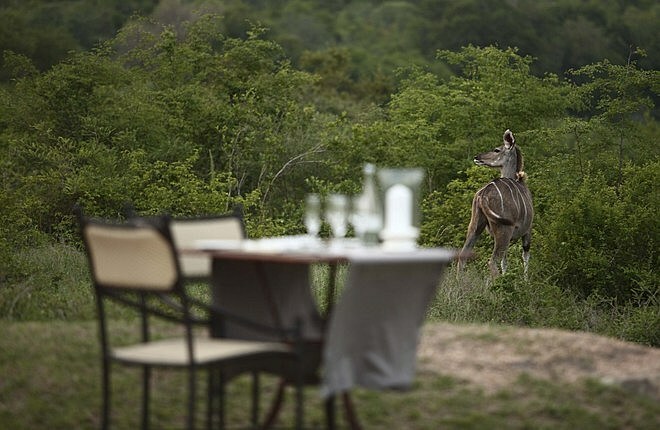 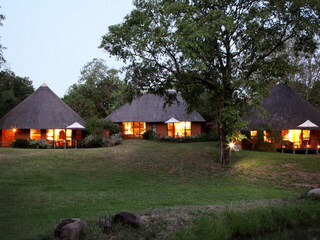 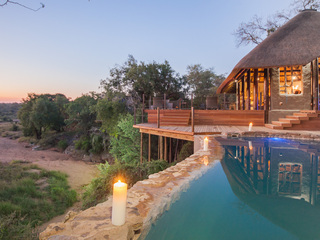 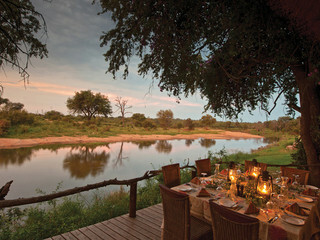 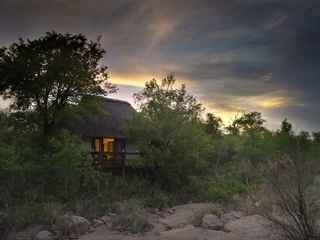 Morning and afternoon game drives take place in open 4WDs with breaks for sundowners in the evening. 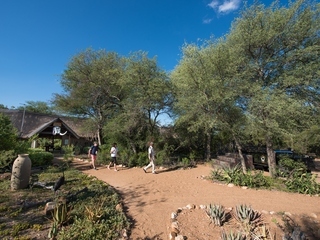 Families and children are welcome at Kirkmans Camp. 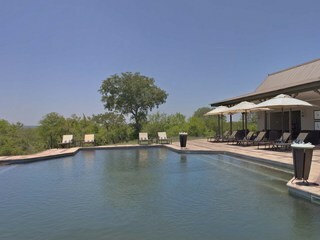 The Camp has a relaxing atmosphere and the pool, lawn and children's program will be a welcome sight for kids. 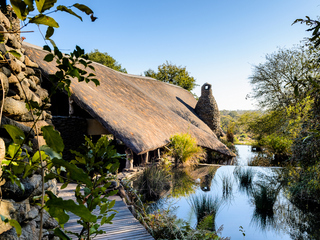 Families can pay for a private vehicle, children aged 6-12 are permitted on shared drives at the manager's discretion, (i.e. 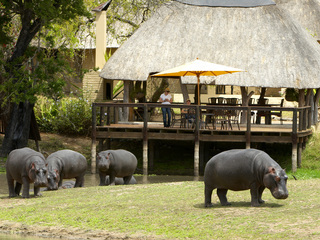 as long as they are reasonably well behaved) . 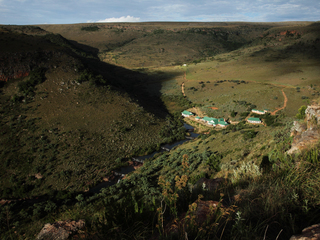 As with most camps and lodges in the area, Kirkmans Camp is not fenced so sensible precaution is necessary.